Apps make life easier. We use them for fast-access to our bank accounts, our Candy Crush addiction, Facebook and even our Starbucks Gold Card. Now there’s a Grace Church App! It’s designed for you to have what you need at your fingertips! Whether you’re a part of the 1,700 that have already downloaded it or you haven’t yet, this article is for you. 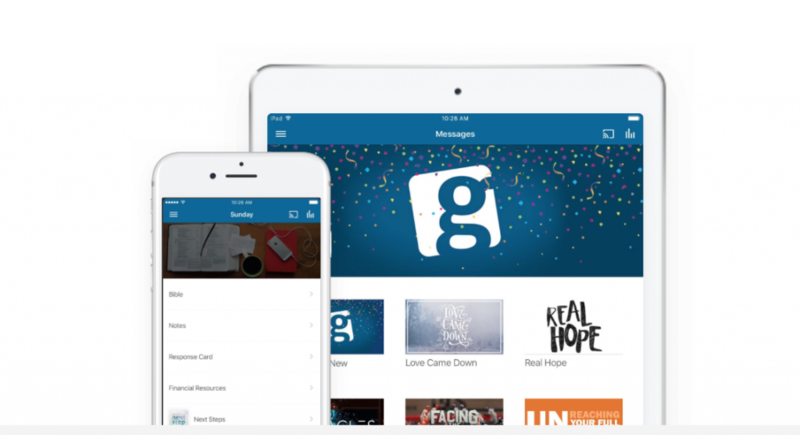 This top 10 list will help you can get the most out of the Grace Church App. Just a few minutes a day could revolutionize the way you live. The middle tab of the app is designated solely for you to have easy access to our daily devotional readings. It gives you an awesome mobile display for easy reading with quick links to the Bible passages. Start spending time with Him everyday today! Click the GIVE tab to get started. Once you create an account, you can give in 10 seconds! You can also set up a recurring gift so you don’t have to think about it each week or month, it will come out whenever you set it, just like your gym membership. No Wi-Fi, no problem! Download the audio of any of the messages (in Wi-Fi) and then listen anywhere without running up your cell phone data charges! Listen while you’re waiting for your kiddo to come out of practice, on your morning run, really anywhere! You can easily find your downloaded messages in the top right corner of the app from any tab. To download, click the message that you want and find the “download” symbol (a down arrow with a horizontal line beneath it ,). Ever watch a message and know you need to share it with someone? We have slipped the Share Button just about everywhere we could to help you share content! You can share messages or Everyday with God posts… just click the “share” symbol (a box with an arrow through it pointing up and out of the box ). Easily one of the best features of the app is the ability to tune in to videos of the Sunday Service. Maybe you missed a Sunday, maybe you had to serve an extra hour in the nursery, maybe you need to re-watch to win a family argument about what Pastor Nick said about cats… any reason is a good reason to take advantage of this tab! We post the service on Sunday afternoon so you can easily watch or share. Life has ups and downs… We want to be there for both. Send a request for prayer, notify us about someone in the hospital, and please send us stories of how God is working and answering prayers! We want to lift you and your loved ones up and celebrate when He does something great. Our care and prayer team wants to pray with and for you! The Sunday tab is designed to be your secret stash of resources for church. 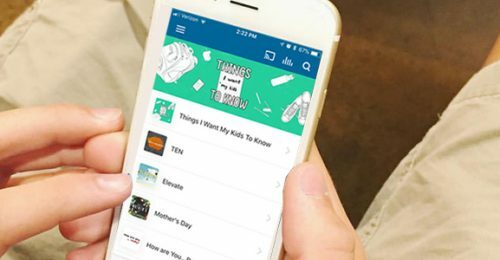 Getting around for church can be a struggle and stressful for any family… with the Sunday tab of the app, all you need for church is your family and your favorite device! You’ll have everything you need, the Bible, Notes, and a digital Response Card. The “More” Tab is jam-packed with other links to help you find what you’re looking for. If you saw something that we posted on Facebook, there’s a direct link to our Grace Church Facebook page (don’t spend your time scrolling through your newsfeed to find it!). You can link directly to our Instagram, Twitter and our website with just one click. We love connecting with people on digital platforms and creating non-threatening environments for people to check out church on their terms. We truly believe that the community we build online will spread the message of Jesus Christ farther and faster than we can imagine. We also know that nothing digital could ever replace face-to-face interaction. We pray that the app serves as a launch pad or first step for folks to actually attend a physical service at Grace Church. We hope the map link gives people all the info they need when they need it, so they can take their next step. Let us know how you use the app and how it’s working for you!